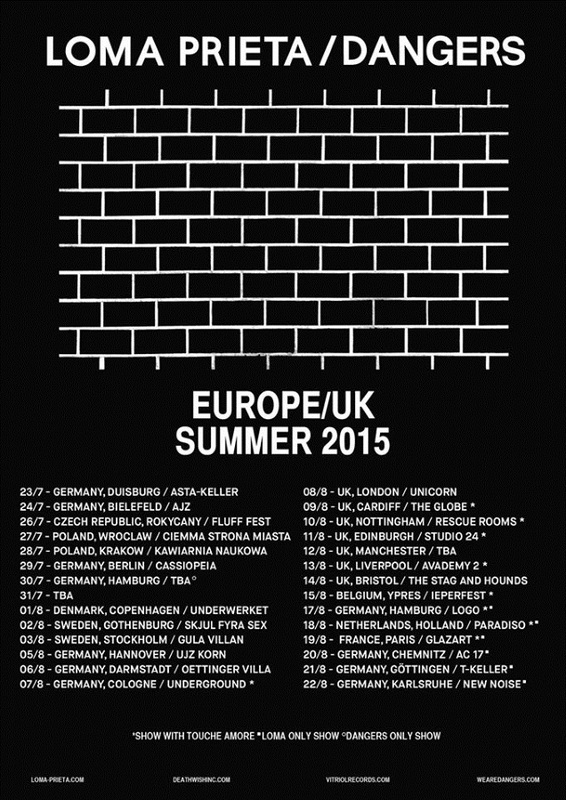 TOUCHE AMORE / LOMA PRIETA / DANGERS / NEWMOON European dates! 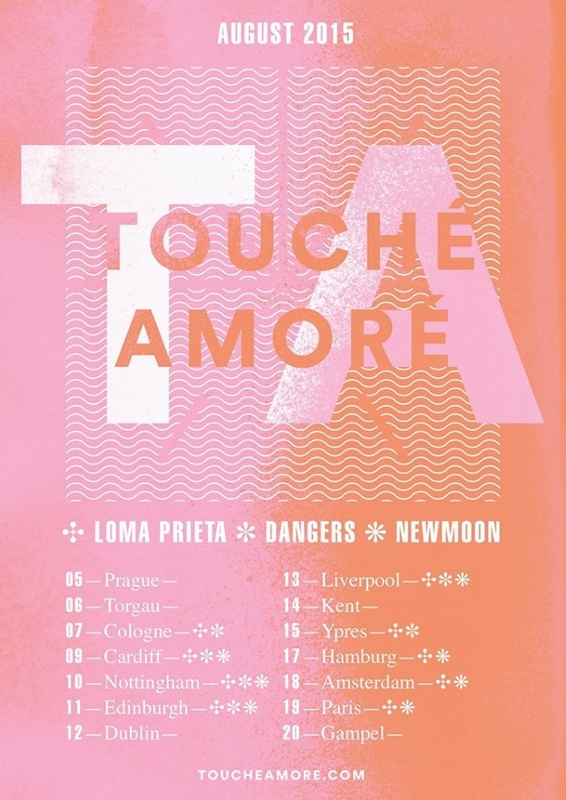 » IDIOTEQ.COM TOUCHE AMORE / LOMA PRIETA / DANGERS Euro dates! TOUCHE AMORE has just announced a nice European trek with DANGERS, LOMA PRIETA, and Belgium dreampop / sheogaze band NEWMOON, including a stop at this year’s Ieperfest! LOMA PRIETA and DANGERS will be performing live at Fluff Fest, as well. See the details below. 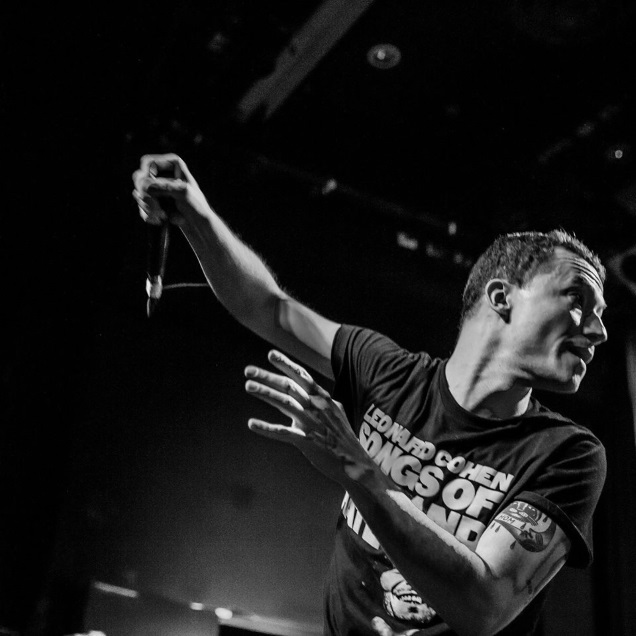 TOUCHE AMORE premiered their latest split wioth SELF DEFENSE FAMILY in March. The band is expected to soon reveal some details on the follow up to their 2013 full length “Is Survived By”, released in September 2013 via Deathwish Inc.! LOMA PRIETA is currently on the road with PIANOS BECOME THE TEETH and GATES. Details on their new album will be revealed very soon! The band has been teasing it since June last year.